Internet is definitely part of our every day lives and the only thing that stops us from constantly staying in touch is Data. I still remember the days where phone data was new and 1GB is all that we need, it was a blessing. Nowadays, who can survive with 1GB anymore? I have a major problem, my monthly 5GB quota runs out 1 week before the renewal every month. I have wifi at home, but my room is so far back, it's like a black-hole. The connection is so bad, I ended up using most of my data. How many of you have gotten this message before? It worries me everytime I receive a SMS from Digi before my renewal date, it is like the world is coming to an end. I end up paying more to buy the extra data I needed. 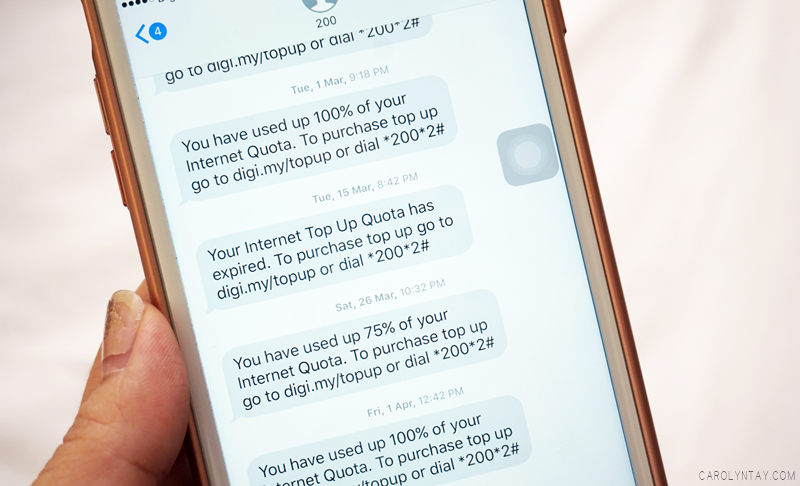 Recently, Digi came out with New Digi Postpaid plans that is better than ever! I have been a loyal Digi customer since 2004, I have never seen a promotion as crazy as this. With only RM110/month, I get to enjoy 25GB All Day + Free UNLIMITED 4G on the Weekends + Free Unlimited Calls to all network! What will I do with that much data? With great amount of data, comes great responsibility! You can help out your family and friends with personal hotspot. I'm sure we all have that one friend who constantly runs out of their monthly quota. You can be a walking free wifi on weekends now! Worried that you have too much data? You can rollover up to 3GB balance to the following month. Miss last night's episode of your favourite TVB drama? Binge on Lee Min Ho k-dramas? 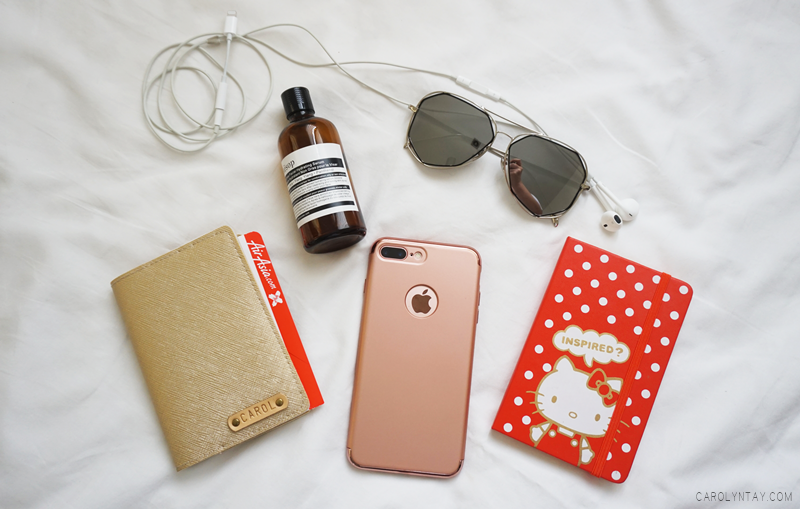 You can do all that on the go, anywhere anytime! I don't even have to worry if my wifi gets disconnected anymore while watching my YouTube videos and Facebook videos. I can catch up with my favorite influences even while waiting in line! There's no need to look around and ask the server the annoying "What's your wifi password?' anymore! Moreover, Digi's 4G loads even faster than wifi these days. No waiting time! For a person like me who travels to Bangkok often, I can now enjoy FREE roaming (5GB + 60 mins calls)! I can save up 399Baht to get a 5GB local sim card for 5 days, I can save the trouble of changing simcards and worry that I may misplaced it. This privilege is enjoyable in Singapore, Thailand, Myanmar, Indonesia, Brunei! Wait! There are more perks? 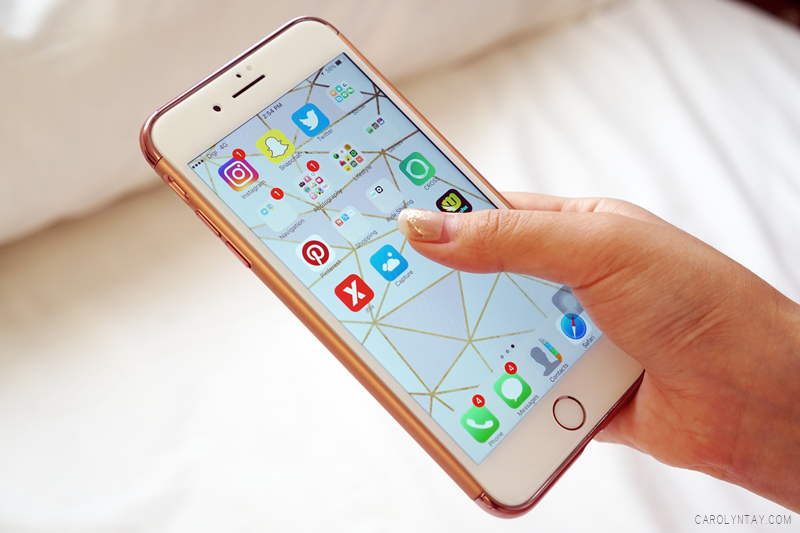 With this plan, you are also able to enjoy free 100GB Capture App and 60 days of free iflix! So stream movies to your heart's content, you can now enjoy your dramas on the go all day! For more information, visit Digi Website today!